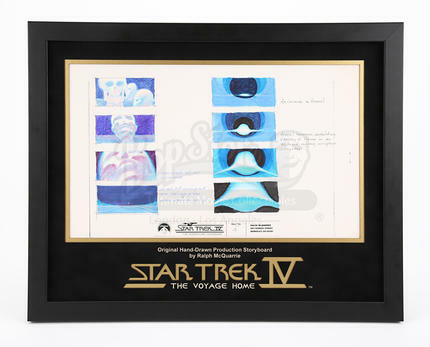 An original hand-drawn production storyboard by Ralph McQuarrie, for Leonard Nimoy’s 1986 sci-fi sequel Star Trek IV: The Voyage Home. Admiral James T. Kirk (William Shatner) and his fugitive crew must go back in time to 1986 San Francisco to save Earth from an alien probe. 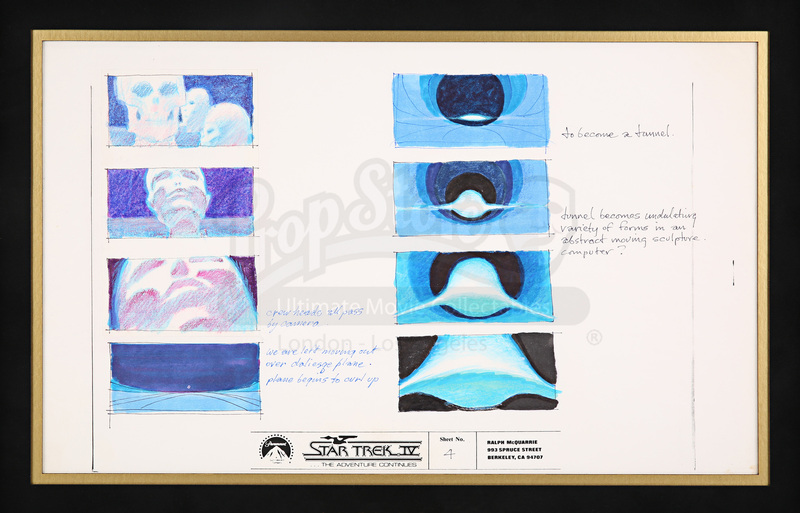 This storyboard and others like it were produced for the production by McQuarrie, who acted as a visual consultant on the film. McQuarrie worked as an artist on many classic films, including the Star Wars and Indiana Jones series. Storyboards such as this one are used by the production to visualise how scenes will look in the final cut of the film. 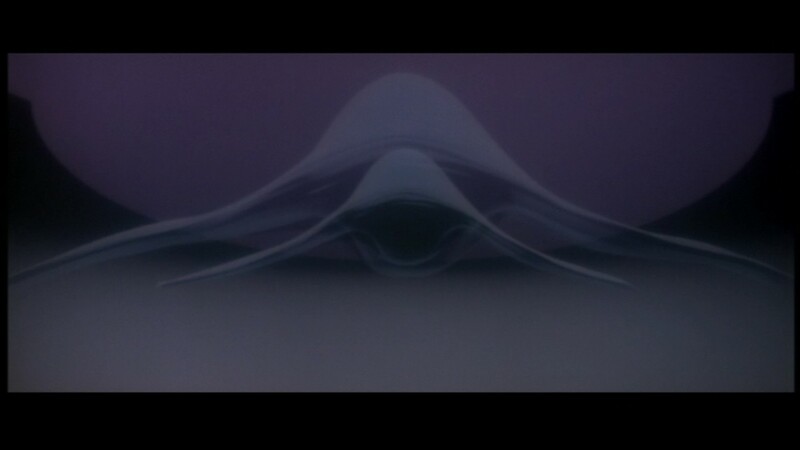 This storyboard depicts the scene in which the crew travel back through time and see all manner of psychedelic visions, in this case large heads of the different crew members eventually turning into a tunnel. The pictures have been drawn and coloured with pencil, oil pastels and felt tip pens. Some of the pictures feature a hand-written description of what is happening in the scene. The storyboard has been custom framed with a laser cut mount board featuring the iconic movie title and is in an excellent condition.